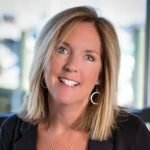 MacKenzie Commercial Real Estate Services, LLC is proud to announce that Vice President Trish Farrell has been elected to the Board of Directors for the Chesapeake Regional Tech Council (CRTC). Based in Annapolis, the CRTC is an industry organization dedicated to supporting and enriching the region’s technology industry. With more than 20 years’ experience, Trish specializes in the sale and leasing of commercial real estate in the Baltimore Washington Corridor, representing local, regional, and national firms. Her extensive background includes a thorough understanding of both the landlord and tenant perspectives and the economic realities that affect their business needs, decisions, and bottom line. An active member of the community, Trish is involved in various service and professional organizations including Launch Annapolis, whose mission is closely aligned with the CRTC, fostering the regions entrepreneurial ecosystem of innovation and small business success. “Trish’s strong presence in the tech community and unique ability to help companies grow is a tremendous asset to the CRTC,” stated Jason Silva, CRTC’s President of the Board of Directors. “Trish is a dynamic business woman and will help the CRTC continue to drive business to member companies throughout the entire Mid-Atlantic region,” added Tami Howie, CRTC’s Executive Director. Trish is a senior member of MacKenzie’s Annapolis team that currently represents more than 1.4 million square feet of space within the Baltimore-Washington-Annapolis Corridor. Trish and her team also provide advisory services to users which span local, regional, and national organizations within industries such as technology, healthcare, education, service-oriented firms, and more. About Chesapeake Regional Tech Council. The CRTC is a member-driven catalyst organization supporting technology entrepreneurship, technology commercialization, and successful business growth through promoting, connecting and informing our members and shaping and strengthening the business fabric that defines the Chesapeake Region. The CRTC strives to be a premier resource for growing technology-based businesses in the Baltimore-Annapolis-Washington region. More than 300 prospering businesses are members of the council and we invite you to participate. For more information on CRTC, please contact Christina Royle at 410.630.8200 or christina@chesapeaketech.org.